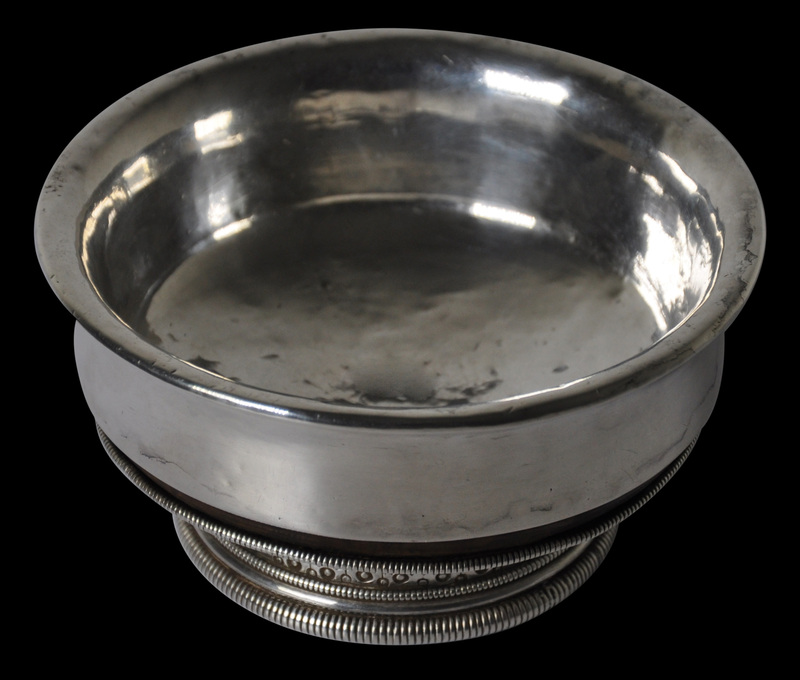 This superb and unusual Mongolian eating bowl comprises a single, turned piece of burlwood – possibly rhododendron rootwood – and dramatic silver mounts that are of unusually high-grade silver. The foot is covered in silver and has pearled silver edging, as well as a border of unusual spiral-like motifs. 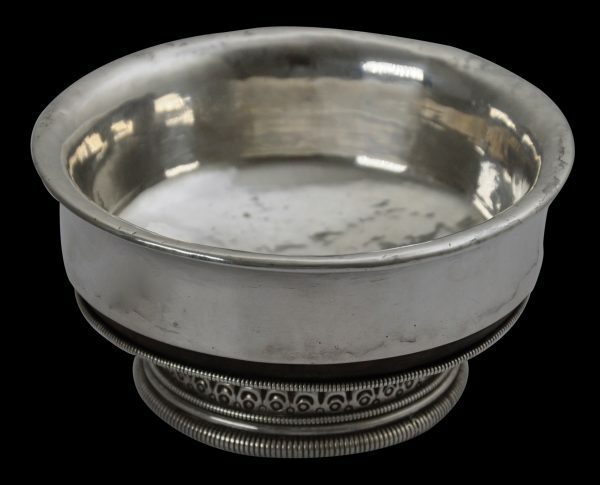 The interior is lined with thick sheet silver and this wraps over the rim and way down the side of the bowl so that the bowl is almost entirely covered in silver. 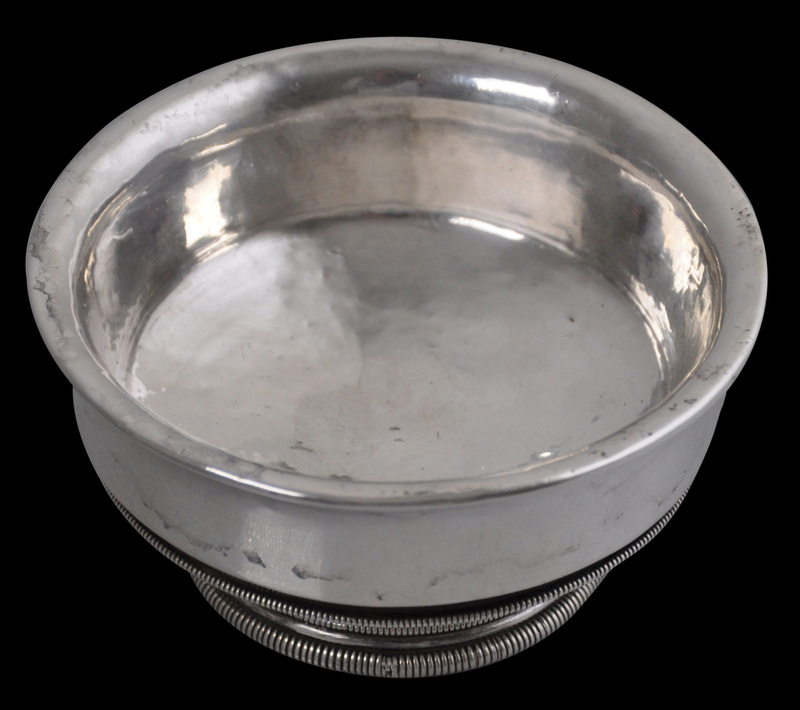 Silver was the preferred material from which utensils were fashioned by the Mongolian and Tibetan nobility because silver was felt to have a purifying effect on food. 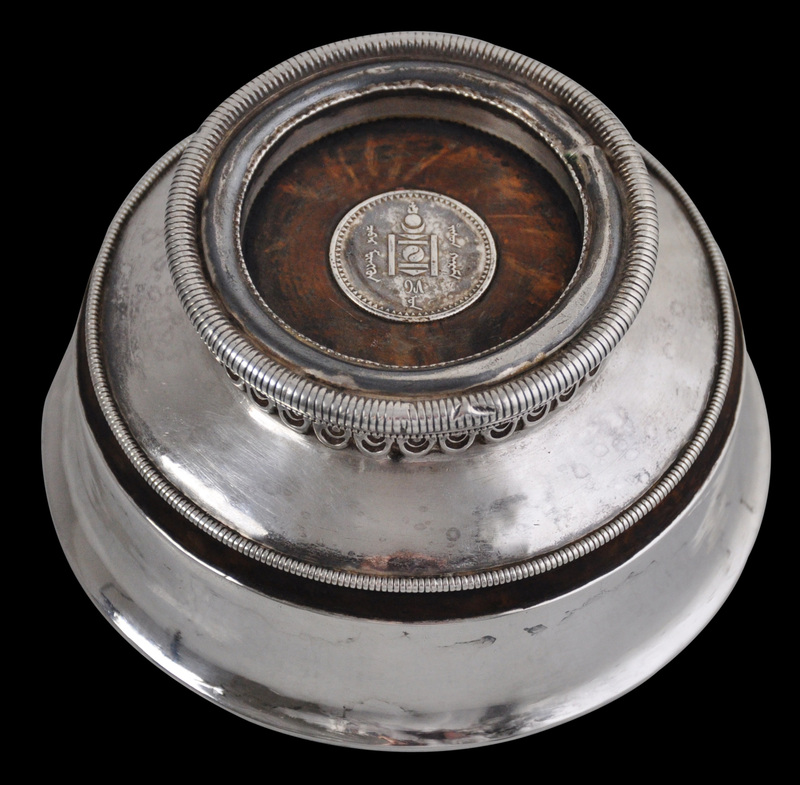 The underside of the bowl is inset with a 10 Möngö Mongolian silver coin that was in use in Mongolia during the 1920s. The coin is useful for dating this piece and also confirming its Mongolian origins, and is an unusual addition. The bowl is in excellent condition. Sheeks, R., ‘Tibetan and Mongoliantsampa boxes’, Arts of Asia, March-April 1996.